The certified detectives of our detective agency in Lübeck investigate in the Hanseatic city of Lübeck, offering Germany's largest harbour at the Baltic Sea, in all of Schleswig-Holstein, and also on a nationwide scale on behalf of private clients, insurances, public authorities, and business people. We will gladly work on your case, too: +49 40 2320 5053. Counting 218,523 inhabitants (2015), Lübeck offers diverse job opportunities, a well-preserved old town, including the famous Holstentor and the historical Salzspeicher as a landmark of the city, and also the near-by located Travemünde which attracts visitors from all over Europe. But even a town as peaceful as this has a dark side which is why our experienced private investigators in Lübeck are often commissioned with surveillance work: Someone wishes to gain certainty about their partner's fidelity, an employer wants to find out if an employee is honestly on sick leave. Also, private persons and businesses ask our investigators for help to find the offender of a committed crime and for the recovery of stolen goods. In addition to that, we also support your search for absconding debtors or missed persons. One effective method for tracing missing persons is mantrailing, where specifically trained mantrailer dogs are used to trace people. They are able to pick up scents after several days, weeks and sometimes even months. Also, our IHK-certified detectives investigate on behalf of victims in cases of stalking, threat, trickery, burglary of buildings, vehicle theft, and many more case constellations. Our private detective agency in Lübeck would gladly advise you in a non-binding and case-specific consultation. The Holsten Gate is the most famous landmark of the city and attracts large numbers of visitors. The local tourism serves as a significant factor of Lübeck's economy and leads to commissions of our private investigators – directly or indirectly. Who needs to pay whom and how much? Is the ex-partner honest about their financial income? Are there hidden circumstances which would have an effect on the amount of alimony (for example, a new relationship)? Our professional private investigators in Lübeck investigate in these and many other questions, also the associated question of custody and who is most suitable to take care of the child/ren of the partnership. Our goal is to allow you to make your claims in court with the help of appropriate evidence. In 2011, the Hanseatic city of Lübeck and its crowd puller Travemünde generated a total revenue of 675 million Euro within the tourism industry. 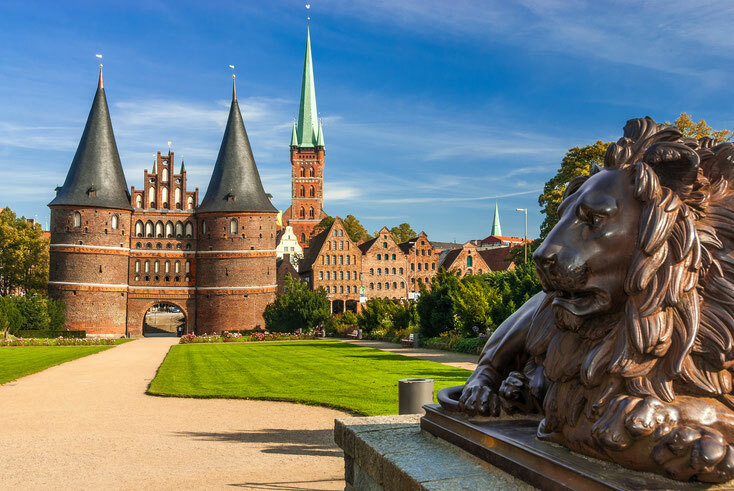 Lübeck and its surroundings attract tourists all year long and, in 2015, 663,975 guests, including 1.543 million overnight stays could be counted. Lübeck is not only famous for its historical old town but also for the Lübeck Marzipan which gave Lübeck the appropriate nickname of the "Marzipan city". Today, retail and the manufacturing industry are also of economic significance, next to the tourism industry, including biomedical engineering (Drägerwerk AG) and the food industry (producer of marzipan Niederegger, the producer of canned soups Continental Foods (previously named Erasco) and the producer of canned fish Hawesta). The Baltic Sea harbour allows businesses in Lübeck to boom thanks to the import and export opportunities. In 2015, 25.1 million tons of goods were handled and the GDP reached close to 7.23 billion Euro – which places the city on place three in Schleswig-Holstein, after Kiel and Pinneberg. 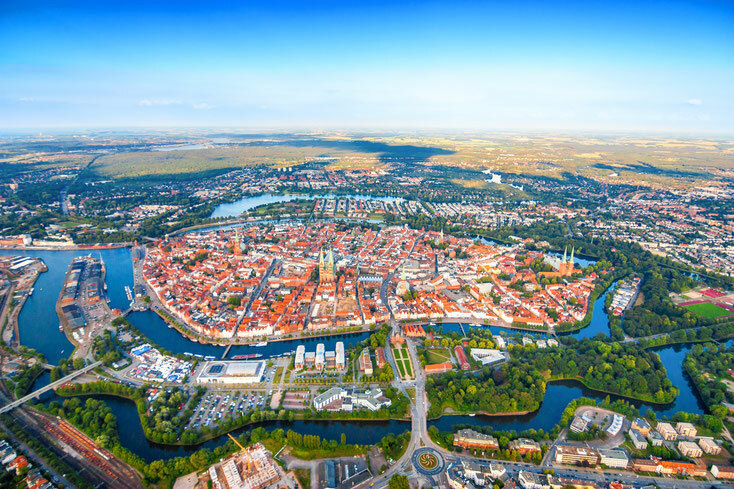 103,775 employees are working in Lübeck and they – mostly – provide for flawless processes within the firms. And yet, unfortunately, not all employees feel obliged to be loyal to their employer. Warehouse and cargo crime, fraudulent sick leave, additional jobs, misappropriation of company secrets – these are only a few examples of crimes that are committed by employees. Our qualified corporate detectives in Lübeck research the case, monitor suspected employees, and gather evidence that stands up in court in order to seize the offender. Please, give us a call if you are in need of support or make use of our contact form. In 2015, 2,096 people received Arbeitslosengeld 1 (unemployment benefits) and 8,504 received Arbeitslosengeld 2 – which barely provides for a life on the breadline. Some desperate individuals, but mostly organised groups of criminals, cause an increasing number of cases relating to offences against property. In 2015, 22,881 crimes were reported in Lübeck, more than half of which fall into the category of the above-mentioned type of crime. 10,354 cases of theft (including theft of/out of vehicles and theft from private residences and office grounds), as well as 2,957 crimes related to finances and fraudulent falsifications (including fraud, embezzlement, and falsification of documents), show specifically an upward trend. The insufficient crime clearance rate, which is caused by a chronic staff shortage among the investigating authorities, leads the victims more and more often to look for the professional help of our specialised corporate detective agency in Lübeck. We investigate the traces, locate the offender and, at best, secure your stolen property and goods. Our detective agency in Lübeck will gladly advise you in a non-binding and case-specific phone call: +49 40 2320 5053. Our investigators also work beyond the city boundaries of Lübeck and operate on your behalf in surrounding places and districts.